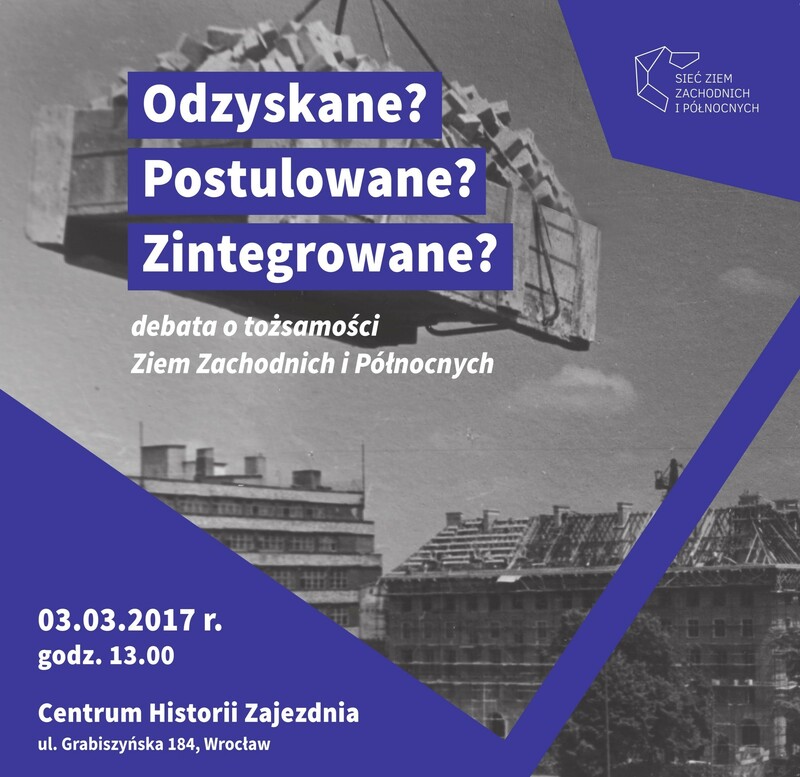 On the 3rd of March 2017, in the Zajezdnia History Center in Wrocław, a debate entitled “Recovered? Postulated? Integrated?”, devoted to the issue of identity in Western and Northern Territories. They were invited to discuss this complex issue, moderated by Dr Wojciech Kucharski: Prof. Dr. Robert Traba, Prof. Dr. Andrzej Sakson and Prof. Grzegorz Strauchold.